Two RS Reverbs with their triggers 2016 125mm 2018 is 100mm ***2018 sold*** Both are for 31.6 diameter seatposts. Both work, no need for servicing. Zero sag in the 2018 and maybe 1/4 inch sag in 2016. Snappy response and no leaks. 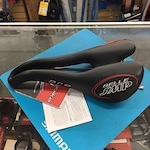 WTB Deva saddle with Ti rails, in great shape and barely used. 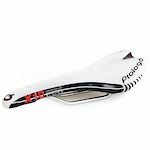 I'm selling a brand new Sell SMP Pro Saddle with Stainless steel rails. Black leather. Made in Italy. Retails for $269 Price includes shipping in continental USA. Installed and used this dropper remote once, didn't really like it so I bought a different remote. Can't return it now, my loss is your gain! SRAM X9 front shifter modified to work as a dropper remote. Very Ergonomic. Works great. Matchmaker and standard bar mount included. Brandnew unopened box. Fox Factory Dropper Post 125mm 30.9 internal kashima coated. No remote Buyer pay shipping.